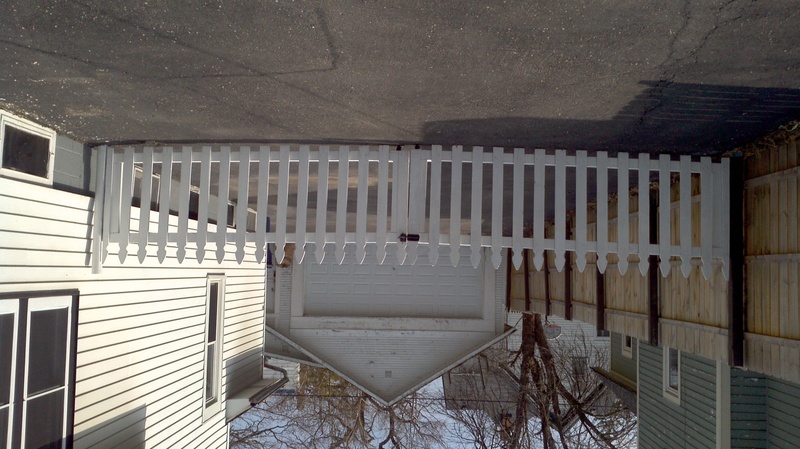 This entry was posted in House maintenance, Weather, weatherproofing and tagged Driveway, Seasons, Weather, Windows. Bookmark the permalink. We’ve already taken out our garden hose (been using it for a few weeks now to water grass seed & strawberries) and patio furniture. Still have not stowed the boots. This weekend I filled 7 lawn bags which is a small fraction of what needs to be done. I estimate another 20 are needed to remove all of the dried plant matter, sticks & leaves. There is only so much that fits in the composter, and suddenly our 80 gallon composter seems tiny. On my outside list: window washing, planting flower pots & mulching. 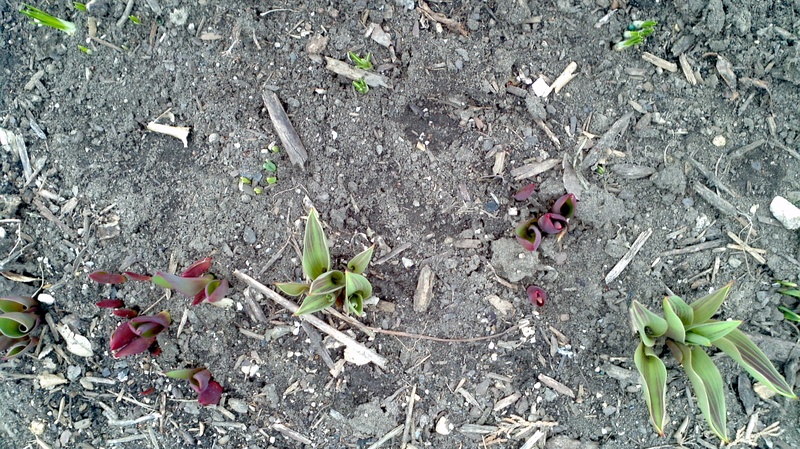 The planting will have to wait a few weeks until danger of frost is over. 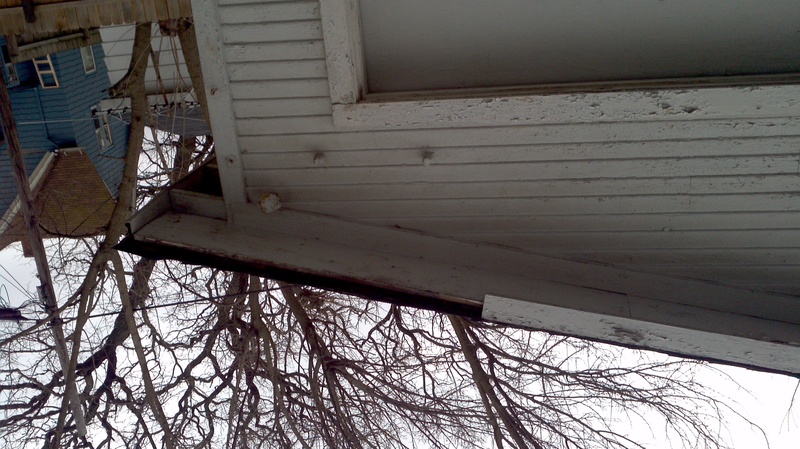 There is also the garage soffit which needs help, but that may have to wait. Oh, and we got those foam things to put in the gutters that we need to install. 🙂 If you need a hand or someone to spot you on the ladder, let me know. I’d be glad to help. Wow, you are so ahead of me! I have the window-washing, planting and mulching on my list, too. Also, we need to clean out the garage. Seems like things just pile up and get shoved out of the way when winter means you don’t want to spend any more time out there than necessary. Golly, spring brings a lot of work!! Ha, I can see B trying to “help” as you’re outside. Can you give him a bucket and shovel and just let him go to town? And thanks for reminding me about my garage! I bought two shelving units at a post-Christmas sale and put one in the basement, and the other in the garage. It’s been too cold to do anything but create piles in the garage, so I need to build that unit and organize a bit.